GitHub - somewherewarm/woocommerce-subscribe-all-the-things: Experimental mini-extension for WooCommerce Subscriptions that explored the possibility of adding subscription plans to non-subscription product types. Now available on WooCommerce.com as "All Products For WooCommerce Subscriptions". Want to be notified of new releases in somewherewarm/woocommerce-subscribe-all-the-things? 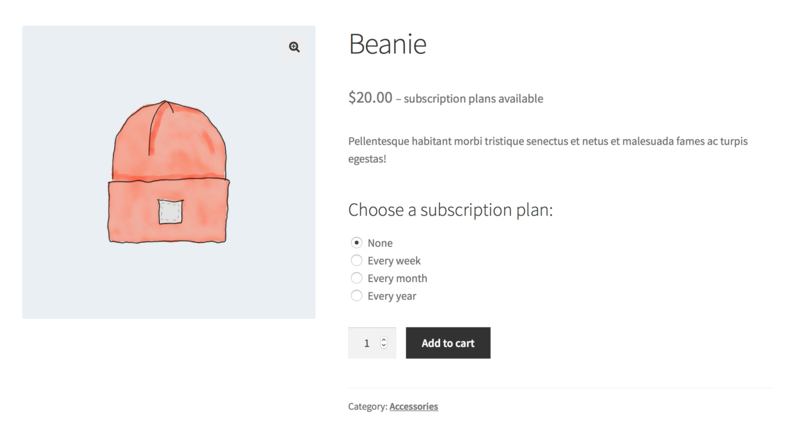 WooCommerce Subscribe All The Things was an experimental mini-extension for WooCommerce Subscriptions that explored the possibility of adding subscription plans to non-subscription product types, such as Simple and Variable products. The project was developed and maintained as a collaboration between the teams at Prospress and SomewhereWarm. The plugin is now officially available on WooCommerce.com as All Products For WooCommerce Subscriptions. Read the full story here. The latest version of SATT is 2.1.5. It has been tested to work with WooCommerce 3.0-3.5 and WooCommerce Subscriptions 2.1-2.5.